The fact that Google has included a Private DNS option with Android P is no secret. However, what it actually does has been a mystery; seeing that the feature doesn’t quite work properly on the developer preview. At least until new, where a post on the Android Developer blog explains what it’s trying to do. 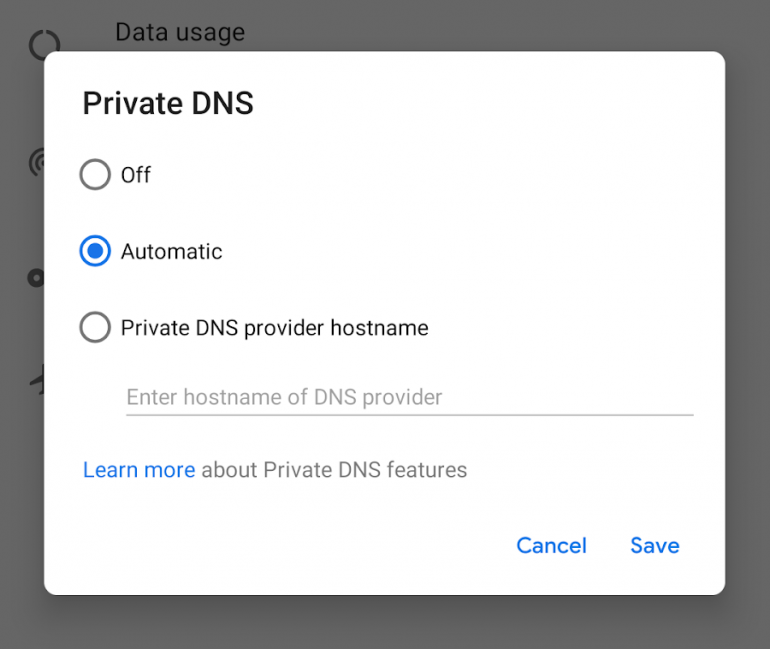 Android P’s Private DNS allows users to specify a particular DNS domain which will be used by all apps and networks. Essentially allowing mobile users to use specific DNS providers like they would on computers. Additionally, Android P will also support DNS over TLS, which creates a secure connection with the server. Some apps that make their own DNS enquiries will have to be updated with a new API. Or risk being prevented from making unsecured queries over a secured connection. Although, the Private DNS feature is turned off by default and will likely remain off for the majority of the public. Still, allowing people to specify their own DNS service without having to resort to a VPN is a great choice for mobile devices. Particularly those that would like to work around internet blocks that have been put in place in certain countries.